CAREER INFO - Available seafarers jobs for deck officer, engine officer, deck rating, engine rating working in many vessels with worldwide trading lines. 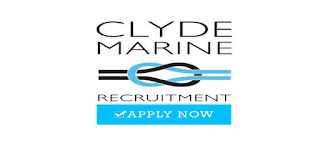 Established in 1981 by the Livingstone family, Clyde Marine Recruitment has developed a reputation across the industry for delivering a high standard of service. 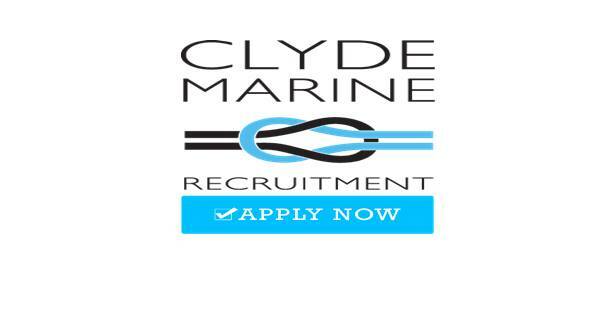 Our ethos is not only to fill vacancies with quality personnel but to work in partnership with Clients and seafarers to develop new ideas and improve efficiencies within their crew operations, as well as to provide excellent career opportunities for marine candidates across the world. Our database of marine specialists covers the skills sought on-board all kinds of vessels across the industry including: Rigs (Semi’s / Tenders) Drillships, Floatels FPSO, Shuttle Tankers, Tankers (Oil, LPG, LNG), Bulk, Survey, Standby, PSV, AHTS, Workboats (Tugs, Crew / Utility, Wind Renewables, HL), Specialist Vessels (Pipe Lay, Cable Lay, Specialist Construction, DSV, Well Intervention), Ferries (Freight / Passenger) Cruise Ships, Superyachts. Share to help other seafarers looking jobs at sea. Subscribe to get a maritime & offshore jobs guide. Family life insurance company. Free finance courses. 0 Response to "Need Deck Officers, Deck Ratings, Engine Officers, Engine Ratings (Worldwide Jobs)"